Hey everyone! It's Candace from Candi O. Designs and it's my day over at Jaded Blossom! As summer is almost over (BOO!) 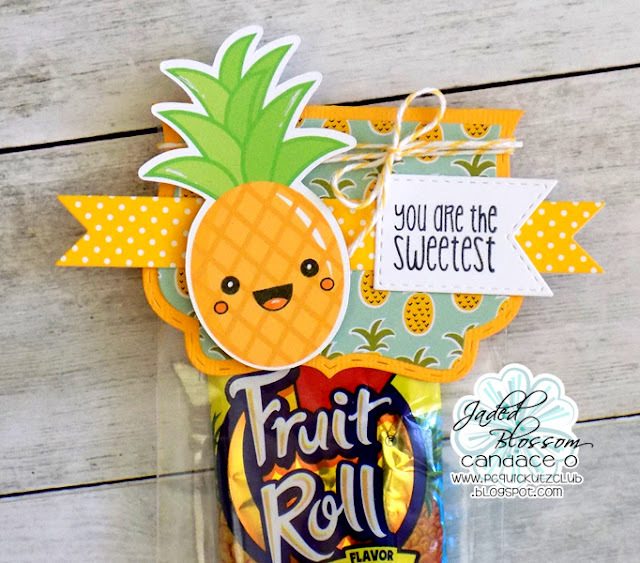 I wanted to create some fun sweet treats with a pineapple theme!! 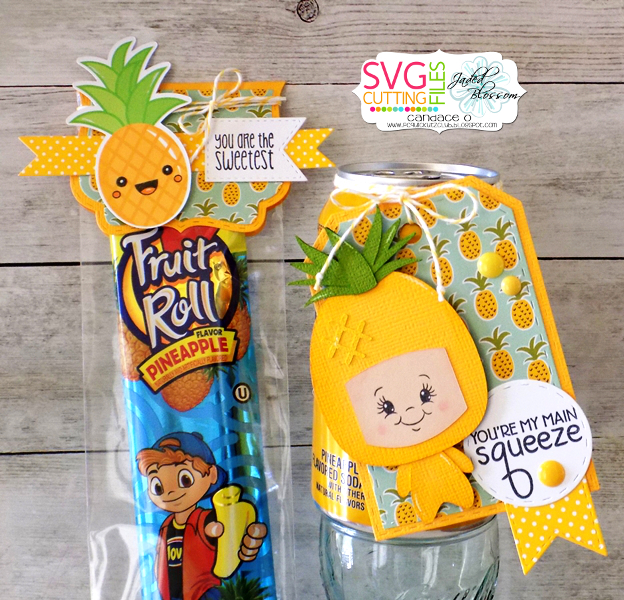 Found a pineapple flavor fruit roll and also a pineapple soda drink.....fun treats for a picnic or lunchbox! 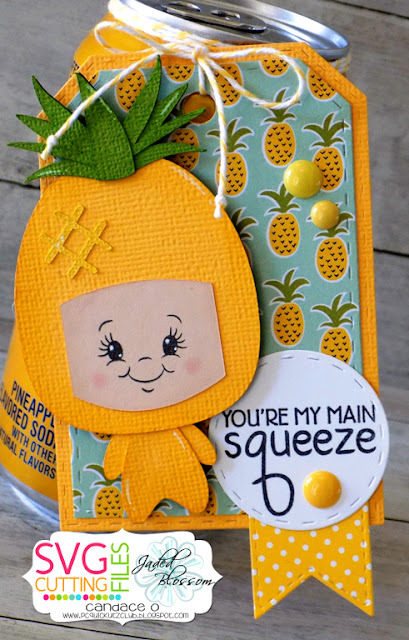 I just think this Chibi Pineapple Boy is too cute and made the perfect addition to this tag!! 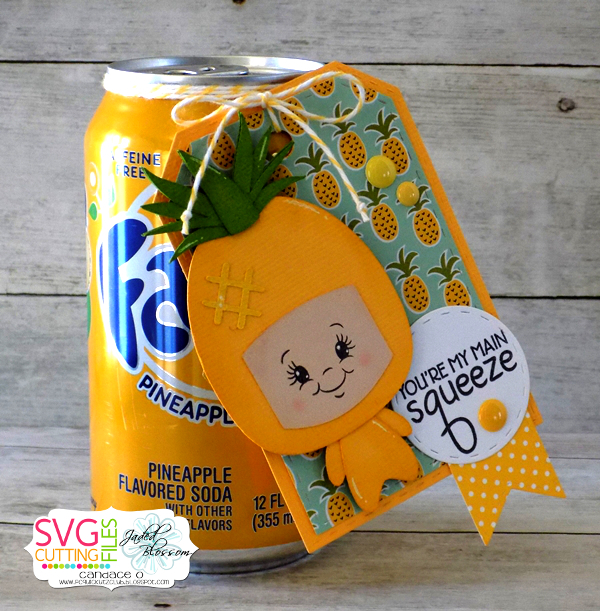 I printed off this pineapple shape and then added the face stamp from Love Donuts stamp set ~ totally made him cute!!! I hope you liked my projects and thanks for visiting! 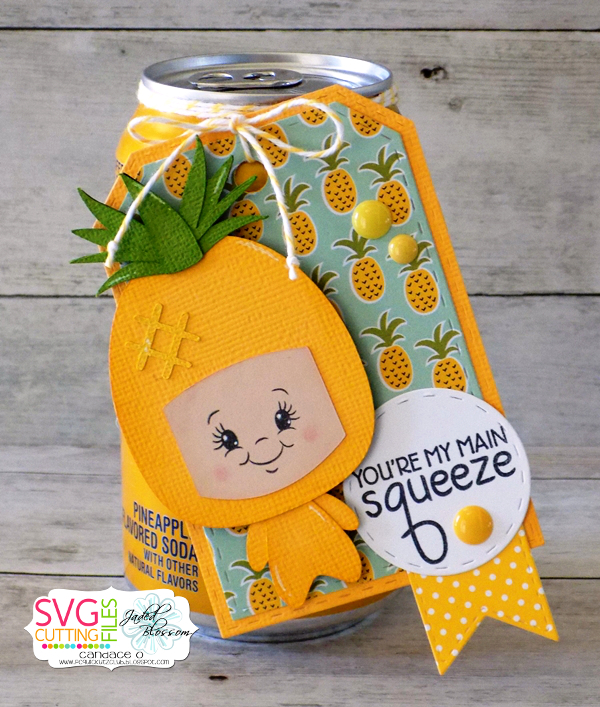 This is so adorable ..... love it to pieces!! Love your tag and topper!! The paper is perfect!! !